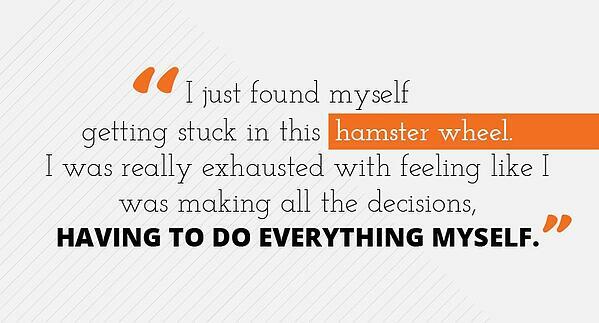 Many business leaders struggle with the same problem: they can’t do it all. In addition to running the business, you must create content, manage social media, write emails, design graphics, maintain your website, and the list goes on and on. Most businesses need a marketing team. However, building one in-house can be challenging, especially if you have a small team and your current employees already have their designated tasks and skill sets. Business leaders know that marketing is a priority. However, marketing is a significant amount of work for one person to take on. That’s where Kyle Danner found himself. As the owner, manager, and sole employee of a family business advising practice, Kyle had to run his business on his own. He had to make sales calls, search for industry events and conferences he could speak at, consult clients, write proposals, and follow-up with leads — all before lunch. When Kyle tried to manage his marketing on his own, he didn’t have time for anything else — he didn’t have time to work in his strengths, like writing content and preparing his clients for the next steps. He needed a team of marketing experts to support his business and guide him through the process. In March 2018, Kyle partnered with ROI Online, a StoryBrand Certified and HubSpot Platinum agency. Through his partnership with ROI, Kyle has been able to clarify his message, build a functional and cohesive lead-generating website, increase the professionalism and aesthetic of his brand, and establish his business as a forefront in his industry. 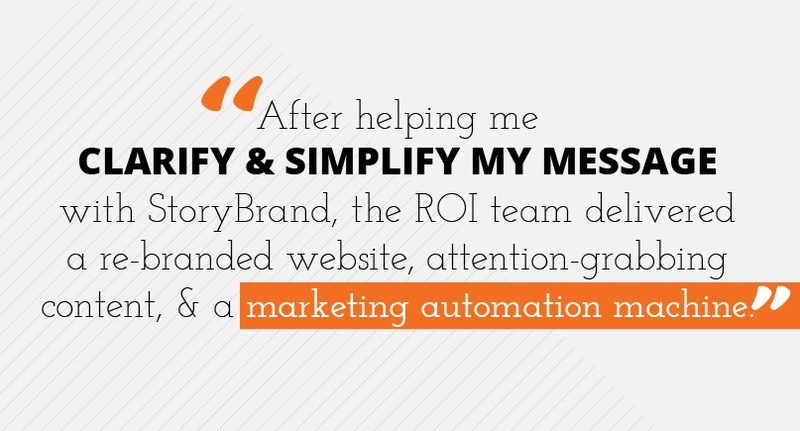 “After helping me clarify and simplify my message with StoryBrand, the ROI team delivered a re-branded website, attention-grabbing content, and a marketing automation machine. Now, my prospects and clients clearly understand how I can help them, which means more qualified leads and sales for me. Kyle Danner grew up in a family business. After working in the business for several years, he became an owner with his siblings. But he soon realized it wasn’t the right place for him. 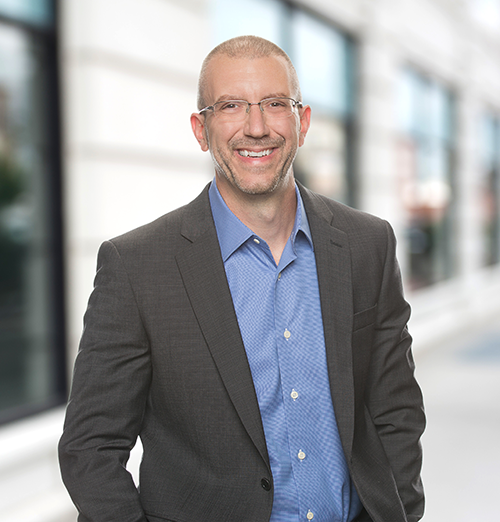 He left the family business to start a new chapter of his life: providing guidance to family businesses and their advisors so they can position the business for the future and success. When debating on whether to hire multiple contractors, an in-house team, or a full-service marketing agency, Kyle considered an agency to be the most cost-effective option. He knew he wanted to work with an agency that understood entrepreneurs, had experience working with smaller businesses, and could relate to his struggles. He chose ROI Online because of the agency’s revenue- and sales-oriented process, StoryBrand expertise, and focus on education. Kyle’s practice is unique, and many family businesses aren’t aware of these types of services. He heavily relies on networking and word of mouth. As a result, we knew that we would have to marry traditional marketing methods with inbound. We created high-quality and professional looking materials, such as flyers, referral cards, etc., to support Kyle at the industry events and conferences he attends throughout the year. But each of these pieces ties into his inbound marketing strategy by sending recipients to his website and encouraging them to download a free chapter of his ebook, refer a client, and other forms of engagement so we can capture their information. Kyle Danner’s new website continues to attract new leads and contacts through our lead-generating efforts. Kyle received raving reviews for the professionalism of his booth at the Kansas Small Business Development Conference, EPI Summit in Nashville, and Kansas City Business Journal Breakfast. He gained 8 new prospects from the EPI Summit in Nashville alone. 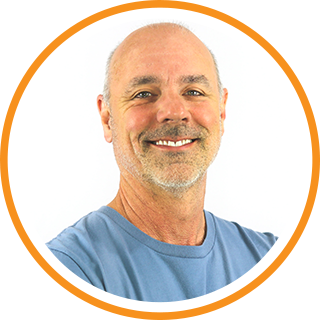 Kyle has clear, complimentary marketing and sales strategies designed to increase revenue and lead conversion. Kyle Danner is gaining recognition as an emerging leader in the family business advisor industry. Kyle is confident in his business’s capacity to grow and has more time to focus on clients, business strategy, and service development. “Right off the bat, I felt really comfortable with everybody that I was talking to and working with. I see ROI Online not as a vendor but as a partner. ROI’s not some guy working out of the second bedroom of his house, contracting all over the place. It’s a team, and that makes me feel better. Want To Partner With ROI Online? At ROI Online, we’ve helped entrepreneurs and small business leaders like Kyle re-brand their business, build effective marketing funnels, apply the StoryBrand framework to their marketing, and implement HubSpot's leading marketing, sales, and service software. Are you ready to clarify your message, generate leads with smart automation, and get a measurable ROI from your marketing? Schedule a free strategy session with ROI Online, the original StoryBrand and HubSpot Certified Agency! In this 30-minute marketing assessment, you’ll get incredible value whether you hire us or not.